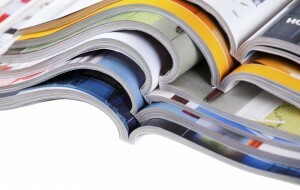 Perfect binding is the process for making soft cover or paperback books and includes many variants according to client needs, such as corporate annual reports, brochures, manuals, non-fiction and fiction books, graphic novels, cost-efficient yearbooks, and various other publications that are a step up from saddle stitching. 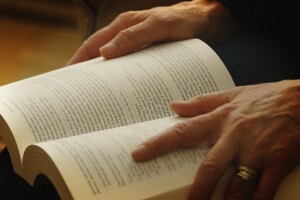 By utilizing various techniques in making softback books—such as lay flat binding, PUR binding and notch binding—soft cover binding can be used in very cost effective ways to bind technical manuals, directories, instruction books, reference pieces, cookbooks and more. Perfect binding is done by building a book block out of pre-collated, pre-cut loose sheets and applying a soft cover. A digitally printed book block can also be used, especially with a versatile PUR glue. Hot melt EVA or PUR glues are used to bond the pages and apply the cover. The process for making soft cover books is less expensive and faster than some other binding methods. These differing techniques allow for a solid and durable book, with fine looks. Perfect binding: Perfect binding is a type of adhesive binding. By, first, roughening the spine of the book block of collected single leaves or folded signatures and then applying an EVA adhesive to the rough edge, the glue bonds tightly with the paper along the book block’s spine. A printable cover, that can also be laminated or UV coated, is then glued in place. PUR binding: PUR adhesive binding is an ideal option for its lay flat properties. It is also able to maintain integrity in extreme temperatures. Its physical flexibility prevents spine cracking and page pulls. PUR systems are the ideal answer for digital printing, as it can handle a wide range of printed stocks and inks. It is one of the most efficient and flexible perfect binding solutions. Lay flat binding: Unlike standard perfect binding methods, lay flat binding allows a soft cover book to lay open. Lay flat binding is achieved by affixing a free-floating “cap” to PUR bound signatures. The cover is then applied using pressure sensitive side glue. This method allows for an affordable, user friendly soft cover book. 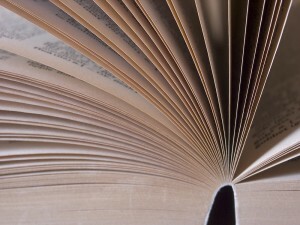 Notch perfect binding: To create a stronger perfect binding for certain book designs, notch binding may be advisable. This method involves notch folding signatures to allow the glue to penetrate through the notches creating a stronger bind. Smyth sewn glue-on cover binding: Also referred to as Smyth sewn drawn on cover, this Smyth sewn glued-on cover binding method involves Smyth sewing signatures then gluing on the cover. For soft cover books that will be heavily used, need to lay flat, or even bent back to be placed on a copy machine, a Smyth sewn glued-on cover is the answer.